I came up with this when I was thinking of recipes for our company’s Health Food Cookbook. 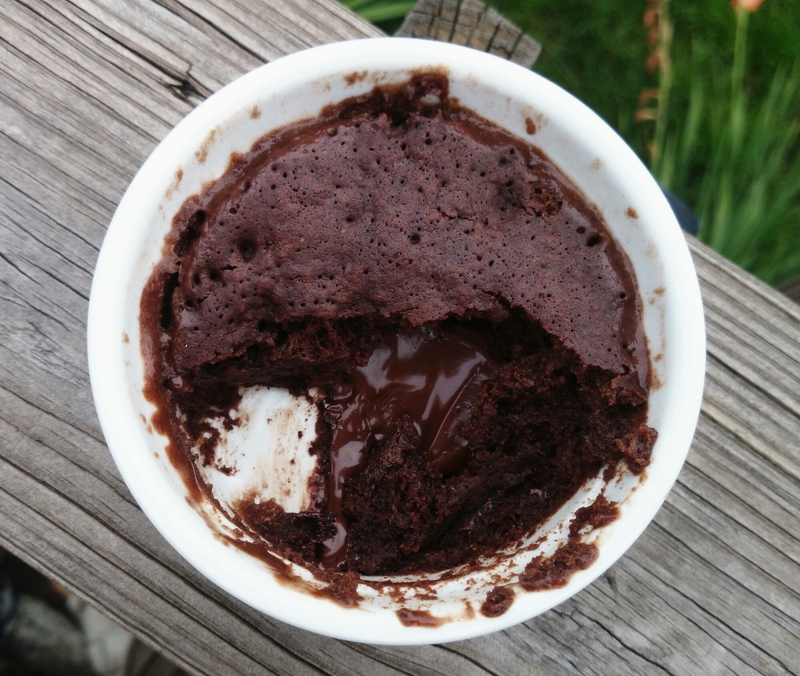 Chocolate lava cake doesn’t exactly strike one as being healthy but what is a cookbook without at least one chocolate recipe? I did try to make this as low calorie as possible. Also, even if its calorie content is about the same as regular vegetable oil, canola oil is low in saturated fat and has high-level cholesterol-lowering fats. This is husband approved and is a nice not-so-guilty snack for me. This is based on a brilliant recipe I found on Chocolate Covered Katie. 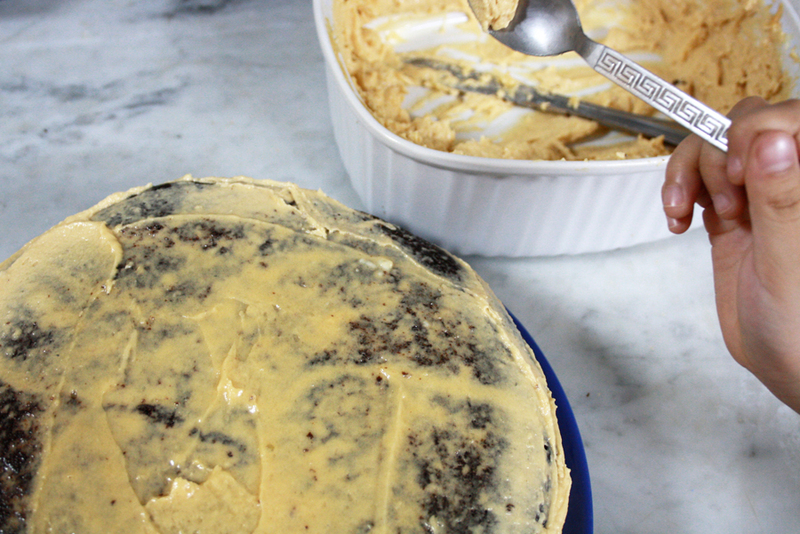 The best part about this cake is that the frosting is cooked and will never melt. You can just keep it on the table the whole day without worrying about the the room’s temperature compromising its shape so you can entertain your guests and have a couple of drinks. On another non-food related note, Chris looks a lot younger than 38. 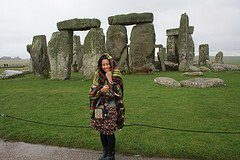 Isn’t my hubby cute? Now this one is special. I got this brilliant recipe from The Beeroness. I made this on my 30th birthday last November 2013 and invited a handful of people to have dinner in our tiny little home. The dripping lemon curd just looks soooo yummy. My husband also loves IPA (Indian pale ale) so we almost always have that type of beer at home. I followed the recipe exactly except for the top frosting. I used regular buttercream for that instead. I like the idea of tomboy cakes. 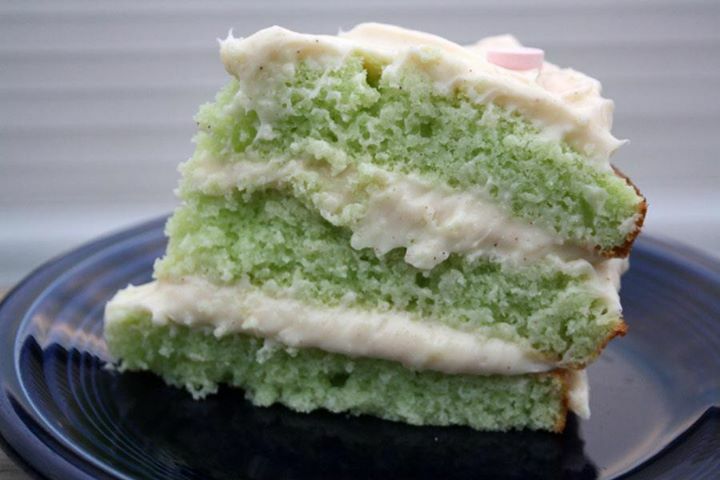 The contrasting color of the cake and frosting is visible since only the tops of the layered cakes are frosted. It looks pretty and easygoing. Like a cake dressed for casual Friday. For my 29th birthday in 2012, I chose to make a lime green jell-o cake based on a recipe I found in The Kitchn. Instead of red/pink raspberry, I chose lime green because, well… green is a nice, calming color. 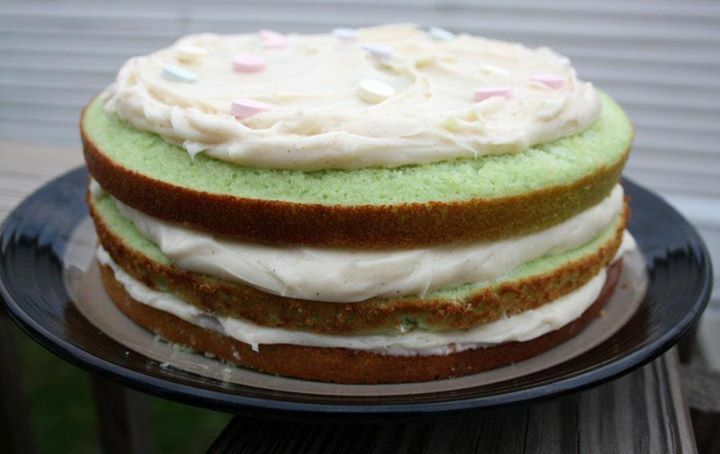 And I don’t remember ever making a green cake. 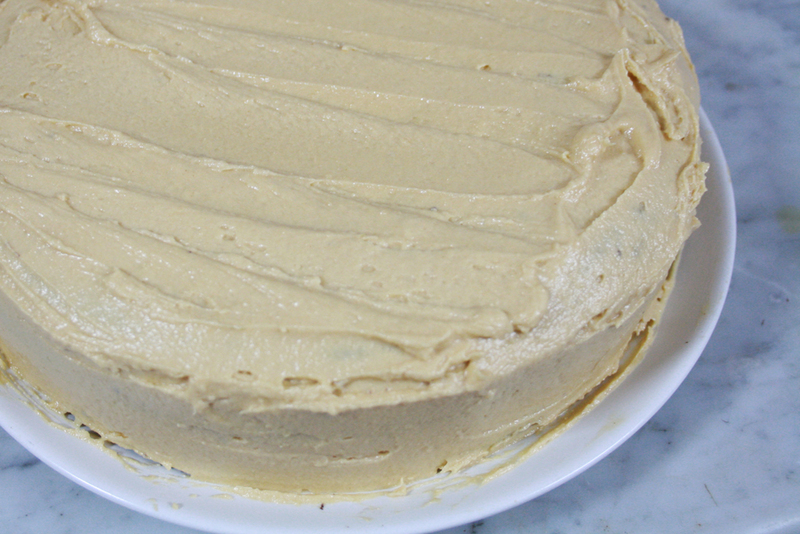 For this cake, I used a light-colored cream cheese frosting similar to what I used for my applesauce cake. I had two tubs of strawberry yogurt that would go bad if I don’t eat it soon. Unfortunately, I left my bag of all-purpose flour in the other apartment and the only thing left is whole wheat flour, which isn’t nutritionally bad but whole wheat is not exactly known for its smooth, moist properties in cakes. 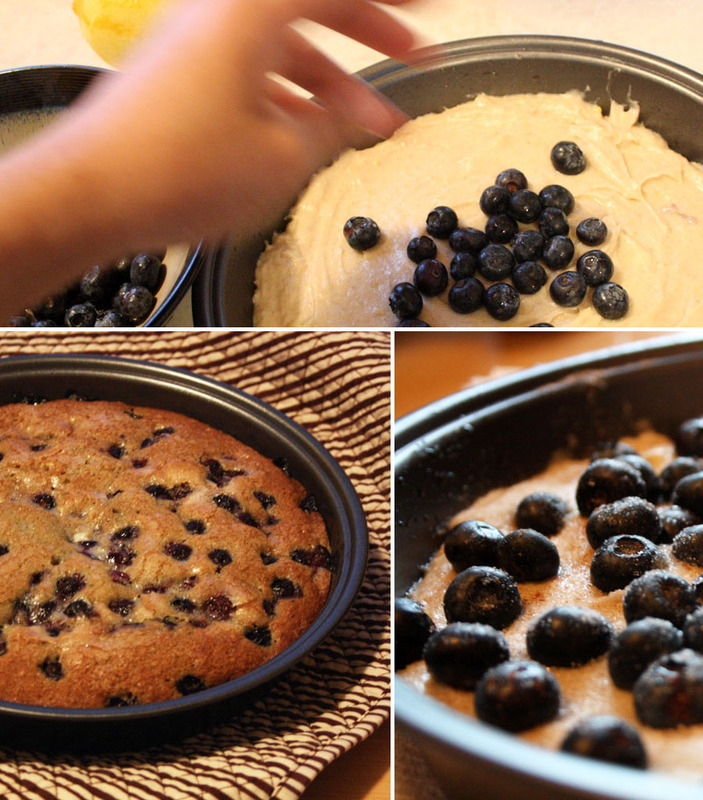 So I tried to look for a whole wheat yogurt cake recipe that I could work with. Luckily, there’s always Food.com. I changed a few things since I wanted to make it healthier and avoid butter altogether. I’m a little scared of bundt pans. 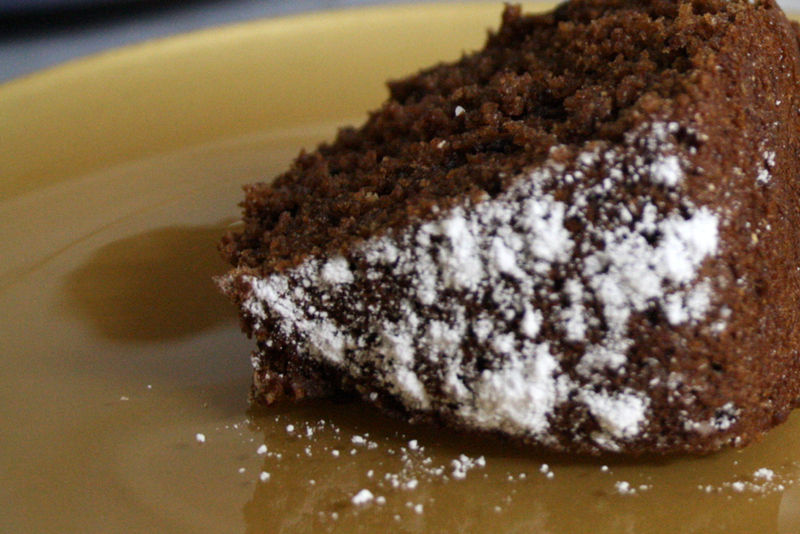 There’s always a possibility that, no matter how much you grease the insides, the pan would traitorously eat the top parts of the cake, leaving a hot mess on your plate that even powdered sugar could not hide. 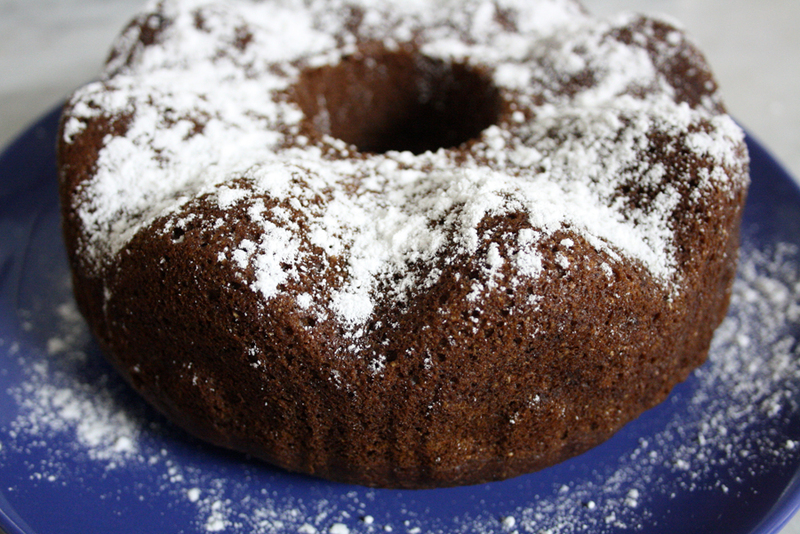 However, one of the reviews mentioned that the center of the cake tended to be a little wet so I was determined to use a bundt pan to avoid smooshy centers. As for the cake, my fears were unfounded. I was afraid that I would have a dry, unpalatable cake. 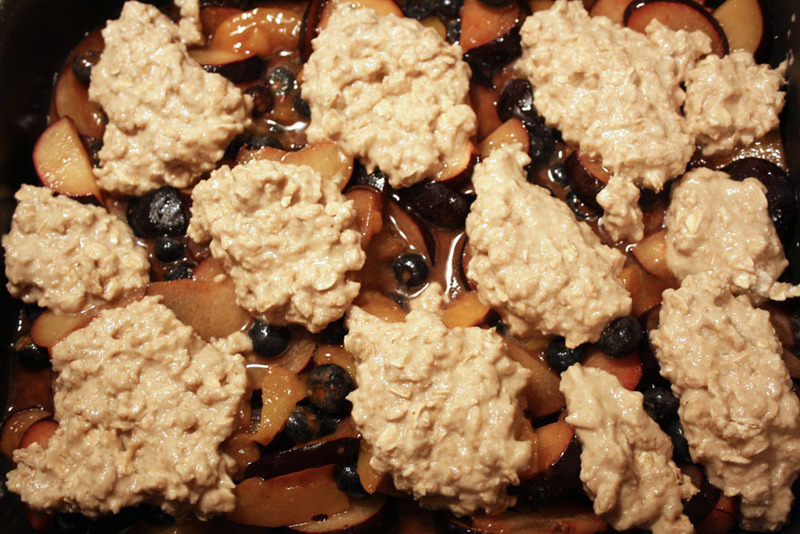 Instead, it ended up being dense, moist, and yummy–you could really taste the yogurt and the whole wheat gave it texture that prevented it from being boring. 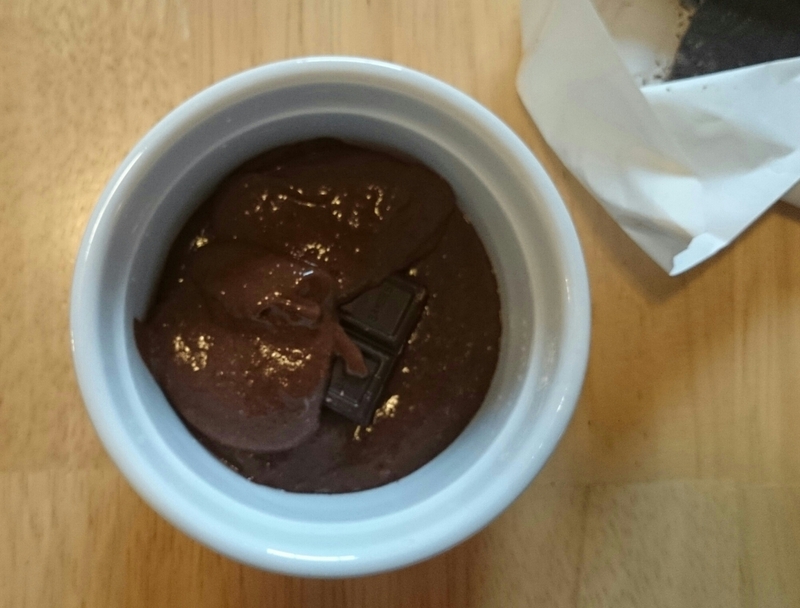 Note: If you don’t want the chocolate flavor, just follow the recipe as it is without the cocoa powder. 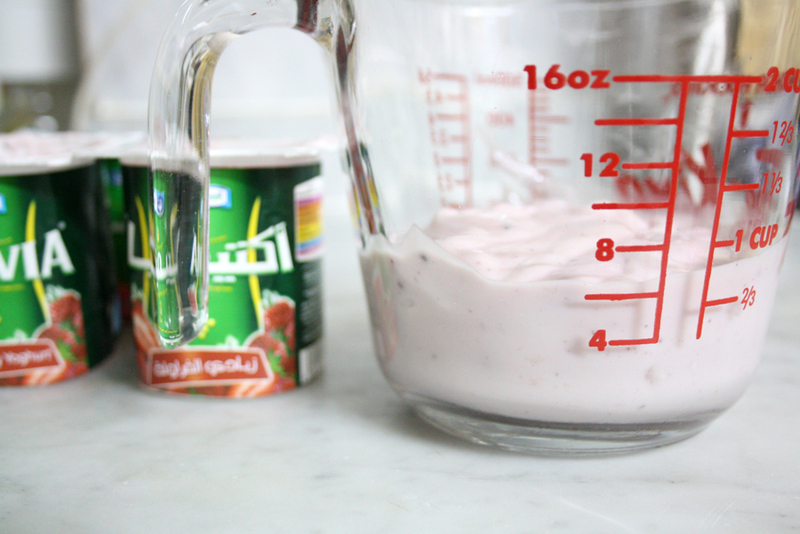 I actually prefer it without the chocolate as it brings out the taste of the yogurt more. 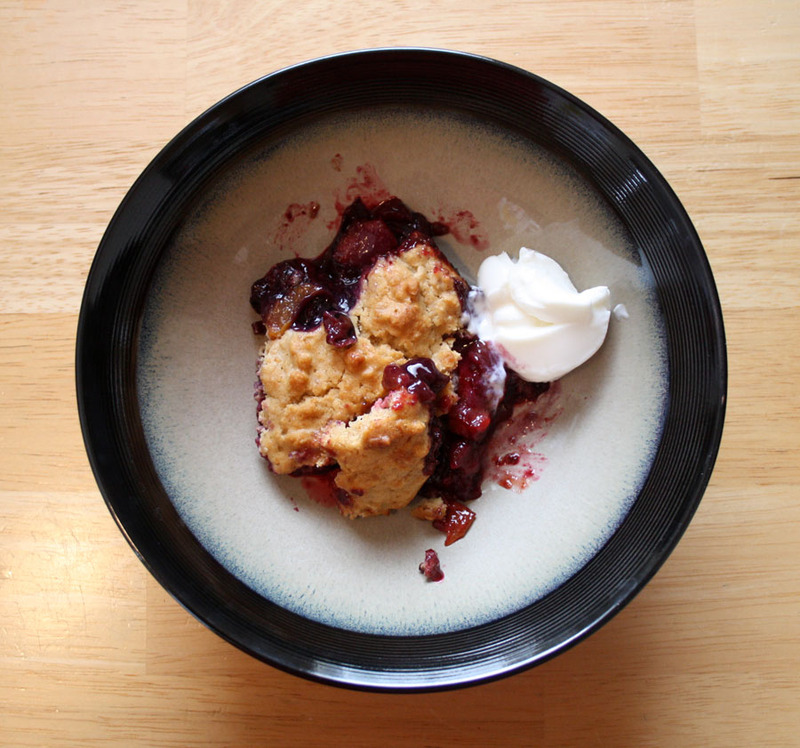 Note (May 25, 2012): I recently made this as a cake with blackberries instead of red currants. 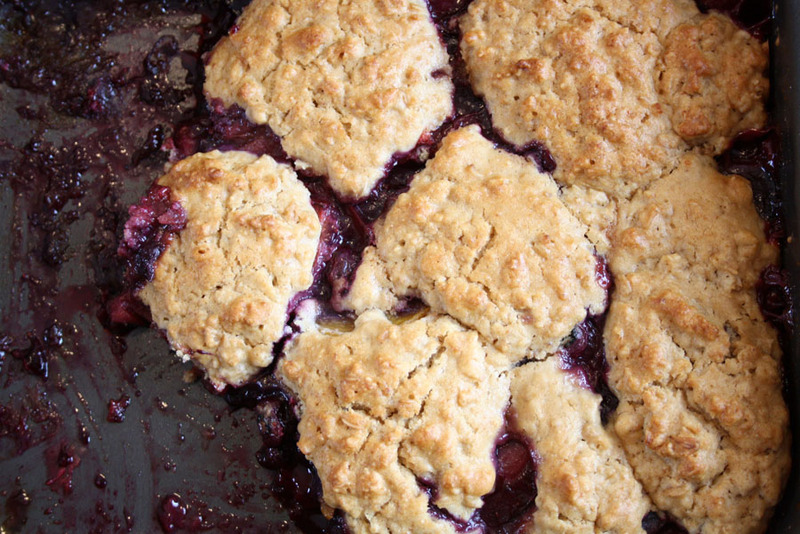 Coat blackberries with 2 tablespoons sugar and spread evenly at the bottom of the pan. Spoon cake batter over it and bake. 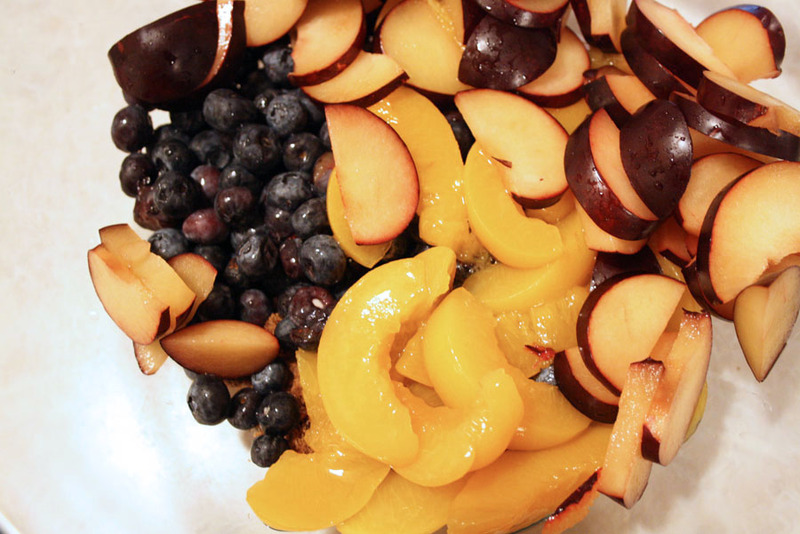 A lot of people have trouble turning an upside down cake without the middle sticking on the pan. 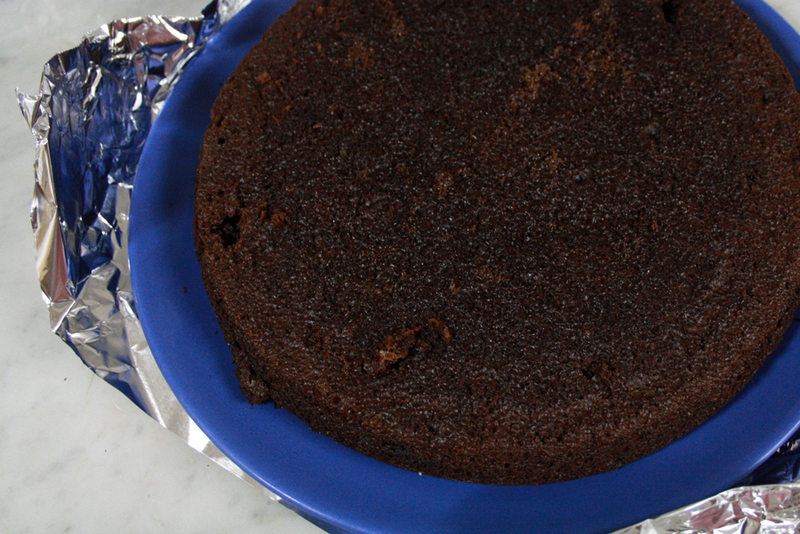 Use wax paper or foil to cover the bottom of the pan so when you flip it over, the whole cake comes out foil and all. 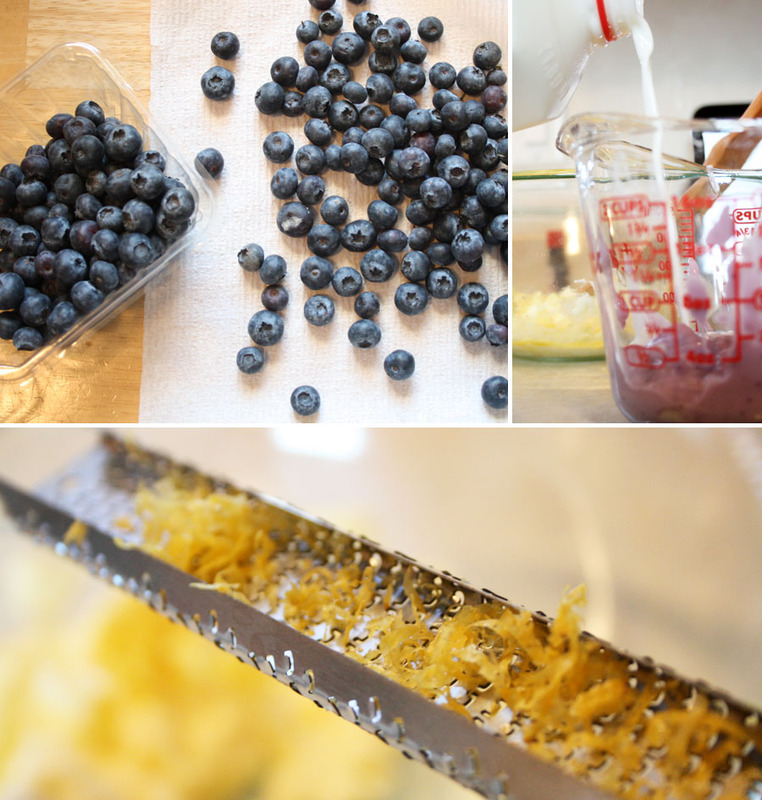 If the berries stick to the foil, stick the cake in the freezer for 30 minutes before peeling it off. 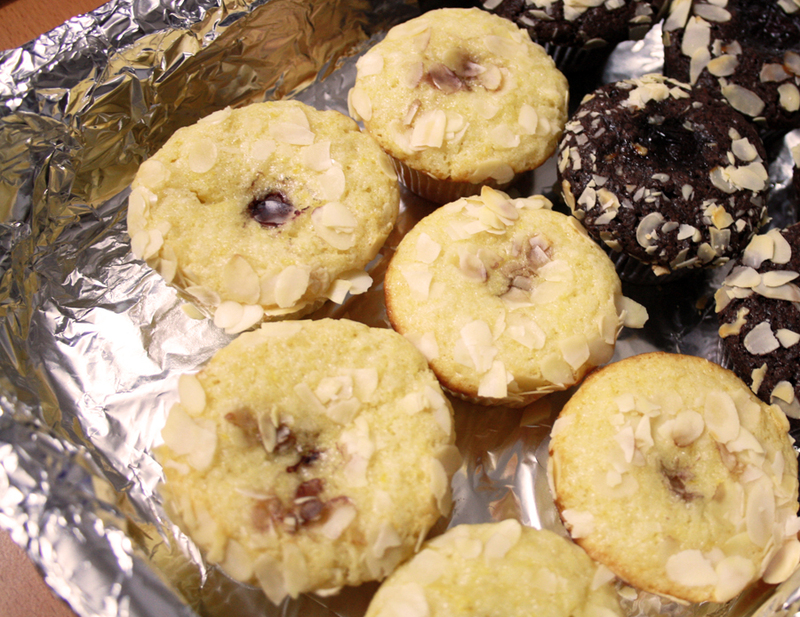 Almost a year ago, I had a love affair with muffins. Obsession is probably the proper way to describe it. I wanted to learn how to bake (aside from the token brownies and chocolate cake) by baking as many kinds of muffins as I could find. Unfortunately, I didn’t take a lot of pictures and those that I managed to take were poorly focused and had horrible exposure. 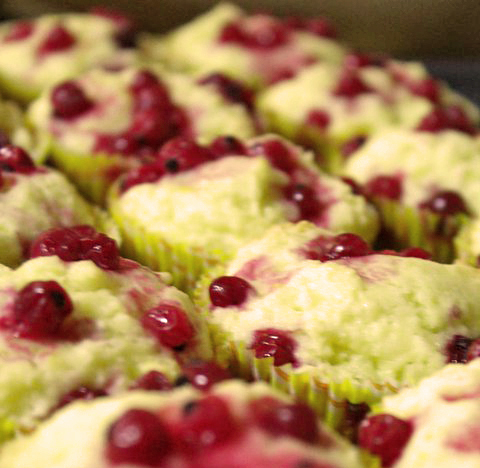 I had the chance to make these muffins again for my friends last weekend. Breakfast should always be the biggest meal of the day and we sure had a huge meal with varied dishes. 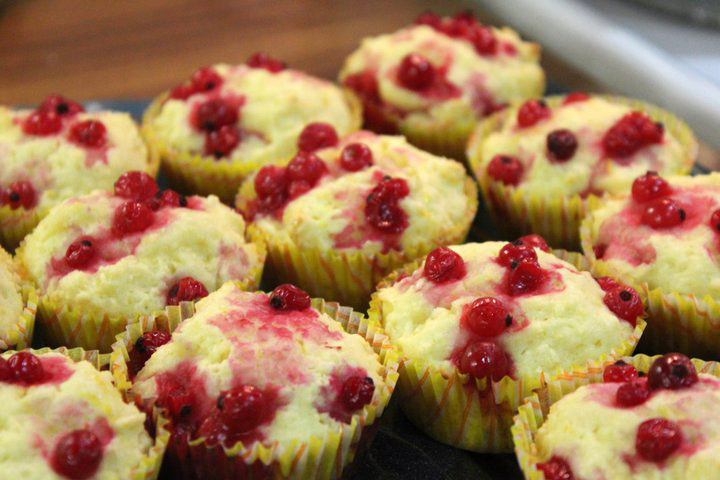 My contribution was a batch of lemon and red currant muffins. It’s not great, but I used to be really bad with photography and used the “Auto” setting far too often. *wince* These days, I learned how to adjust my dSLR properly to take the type of photos I want. I still have a long way to go, especially when it comes to composition, but I’ll get there eventually. 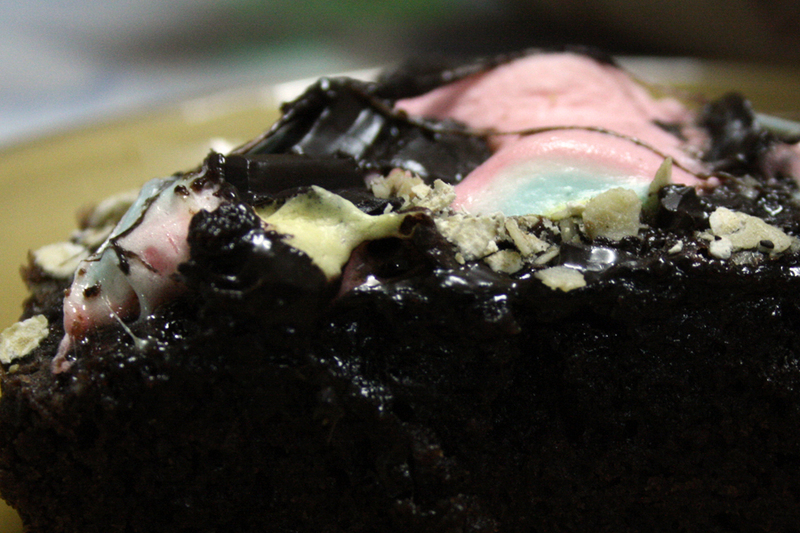 Note: The lovely topmost photo was taken by my friend, Jovett, just before we ate them. I really like this muffin! My mother perfected brownies. 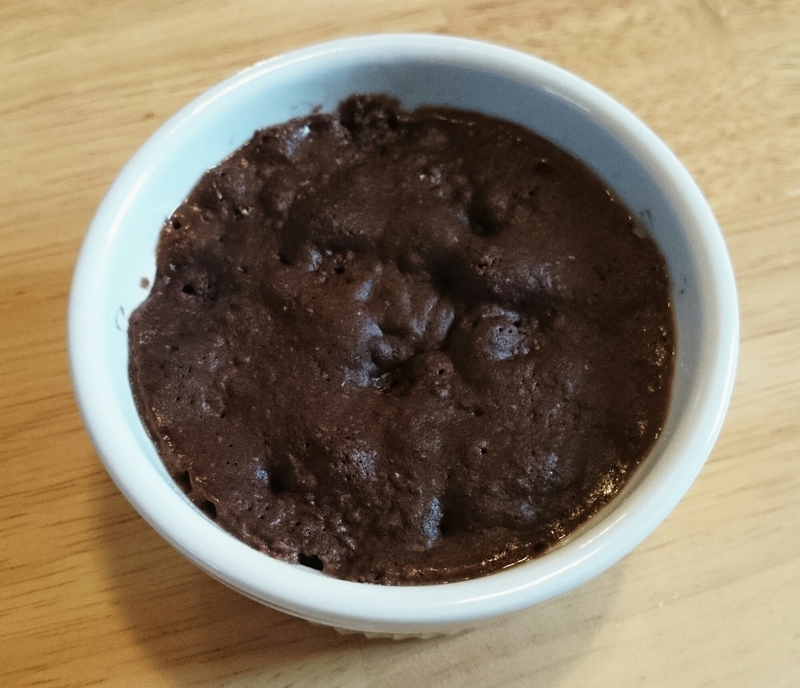 She managed to create a brownie recipe made of six simple ingredients. And this isn’t just any brownie, she produces incredibly moist, flavorful brownies with a very very thin crispy crust that contrasts with the gooey insides. 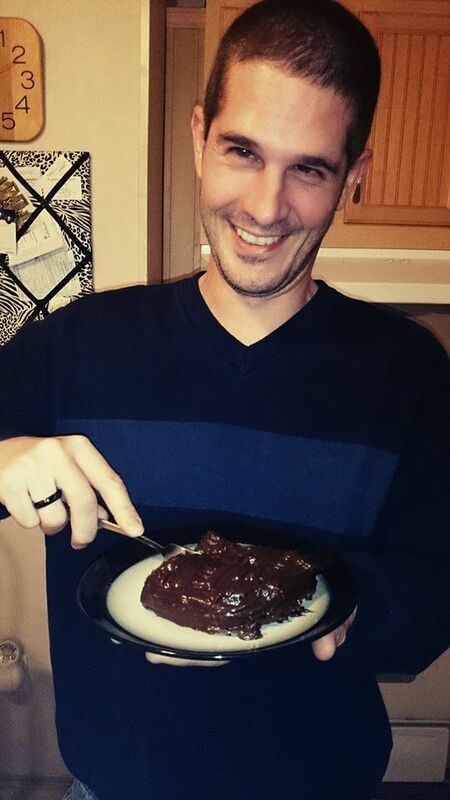 Now, I’m good with the basic brownies. I’m extremely happy whenever I manage to do it right because that means I won’t disappoint the people I have to feed. 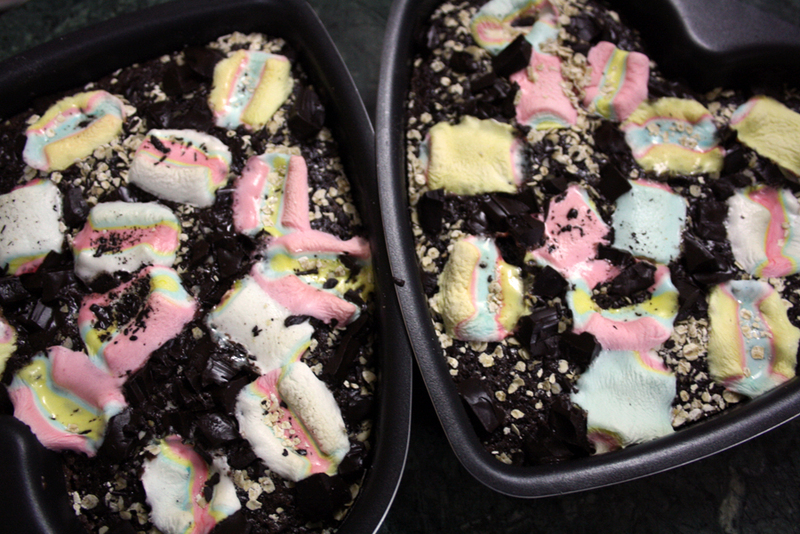 But, sometimes, I have the urge to add some oomph that appeals to my raging sweet tooth. Enter my sister’s marshmallows of choice. Plus oats. Plus chunks of semi-sweet chocolate. All that results in extreme gooiness that will block your arteries and will require a half-hour horizontal rest after downing a hot cup of tea. This isn’t exactly a cheesecake. Which is why I said “cheese cake.” Harhar. 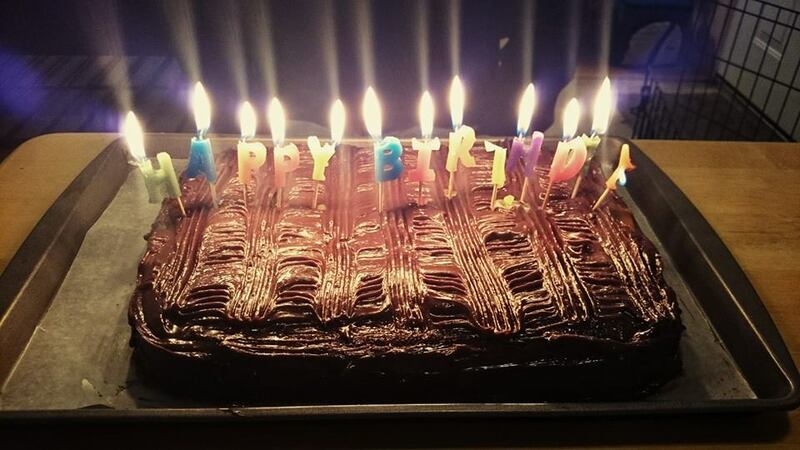 The cake itself is a chocolate moist cake, the frosting is made of peanut butter and cheese, and a drippy dark chocolate ganache covers it all. The strongest flavors are chocolate and peanut butter and fans of Cone Zone’s peanut butter choco ice cream would surely appreciate this. 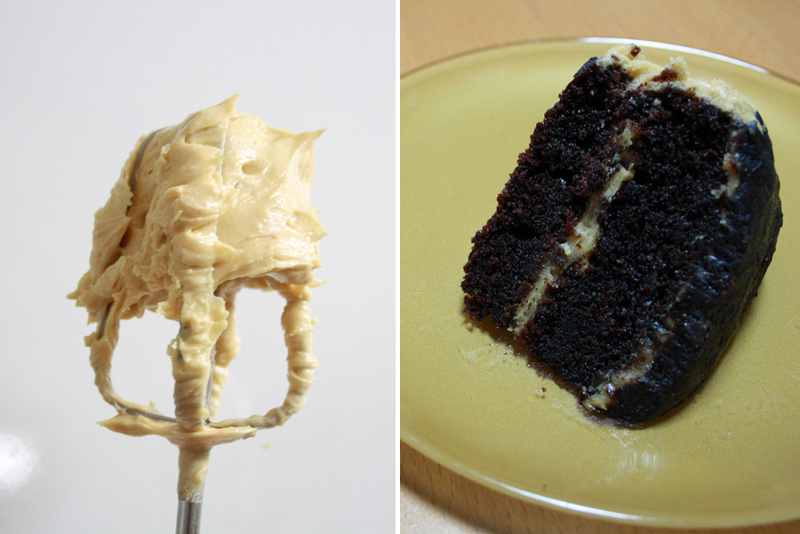 I made this cake for Tita Edith’s birthday, not knowing that she’s a big peanut butter fan. 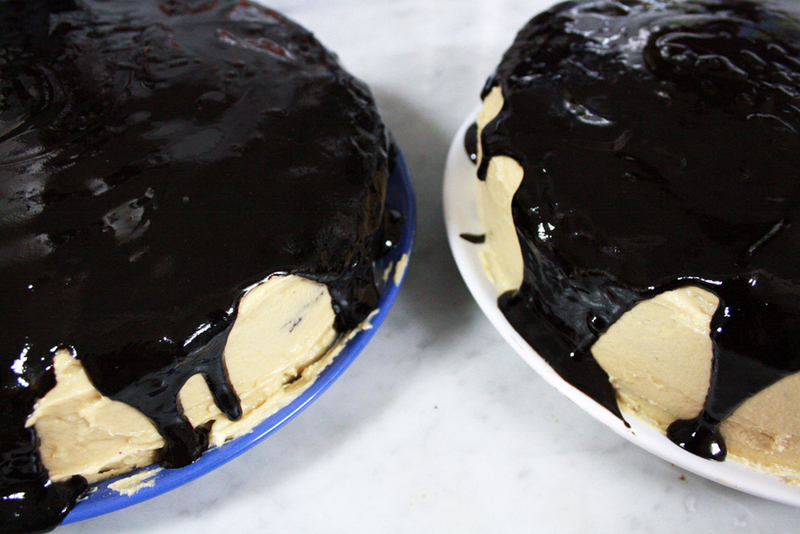 And then I made a second cake for my family, knowing that my siblings would feel jealous if I didn’t make one for them. This is also one of the most complicated cakes I’ve ever baked. 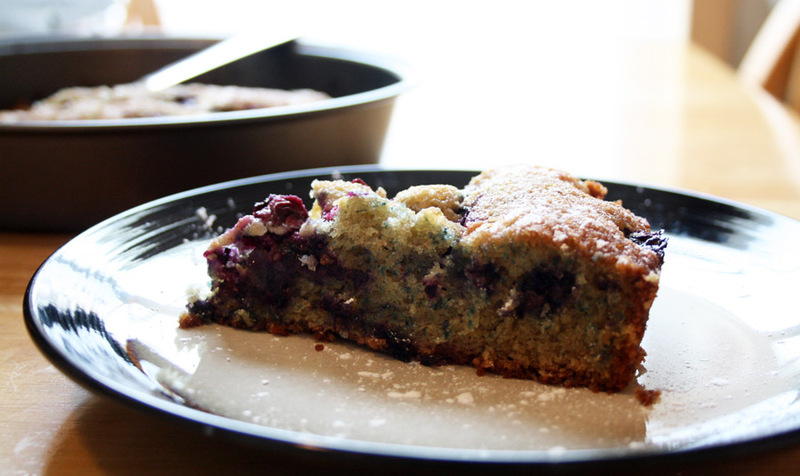 It took a lot for the batter to turn into the pretty cake on a plate. 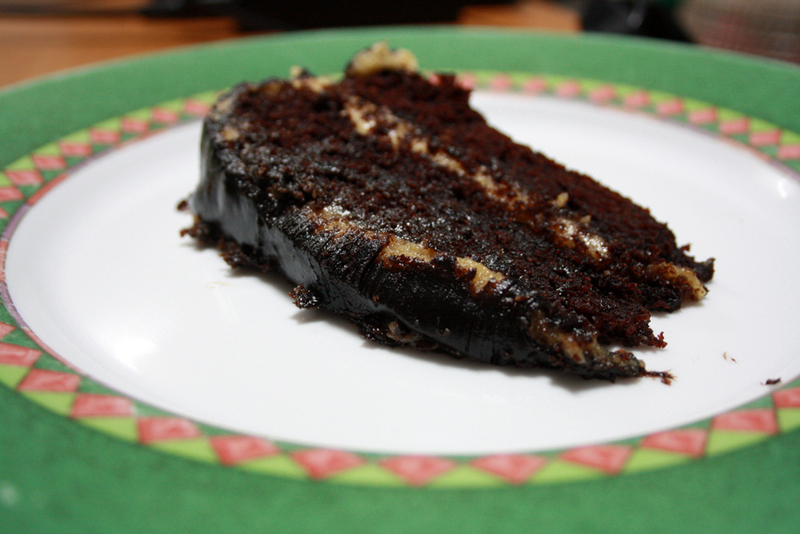 For the first time, I used flash freezing (freezing a cake for a short time to firm it up) to make a decent layer cake. When the two cakes come out of the oven, flatten the surfaces a bit with a spatula or a potato masher like what I used here. Let them cool a bit before inverting onto plates and popping them in the freezer. Ideally, the cakes should be wrapped in cling film but I made do with foil, having run out of the plastic wrap. Thirty minutes later, they’re ready for layering. I put tons of frosting for the middle layer, around one third of what I made. Just work quickly so the cakes won’t warm up especially if you have a warm kitchen like mine. Because the cakes are firmed up in the freezer, it’s really easy to place the other cake on top of the frosted one without breaking the cake. 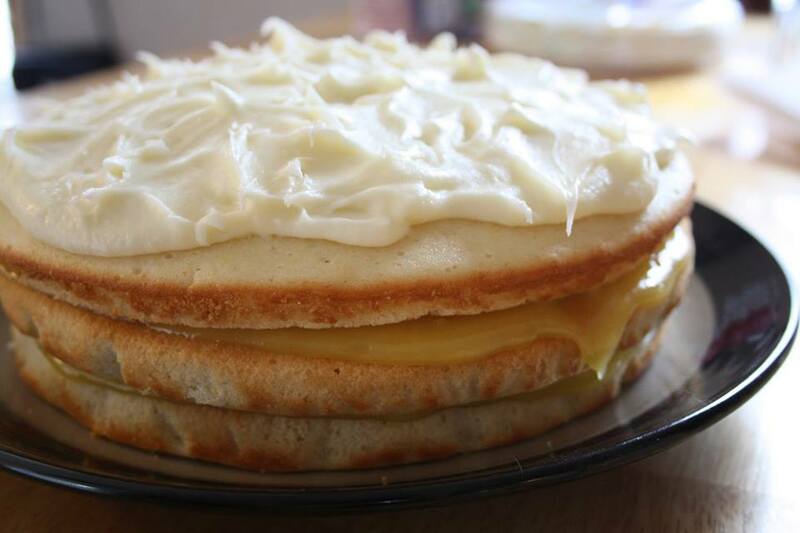 Just remember to put the straight (or bottom) sides together to avoid having a wobbly cake. I also learned how to crumb mask. 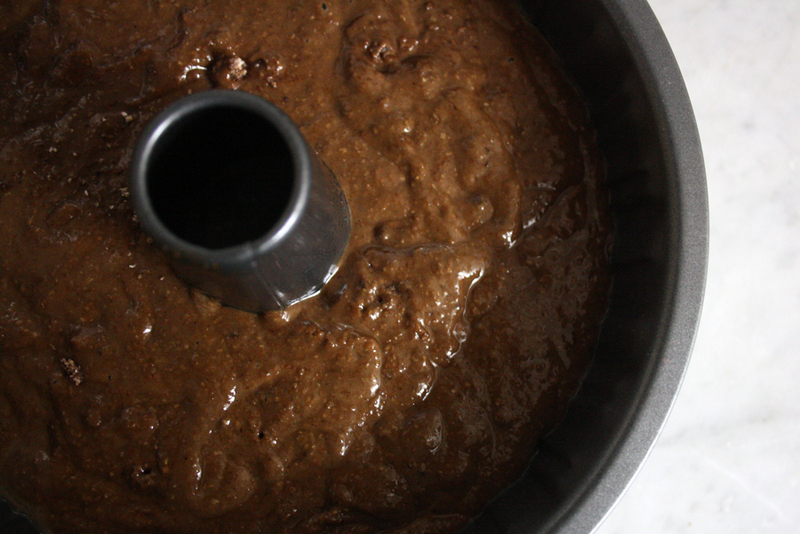 Because the cake is darker than the frosting, it’s advisable to put a very thin layer of frosting over the whole cake and pop it in the freezer for 10-15 minutes before applying the final layer of frosting. 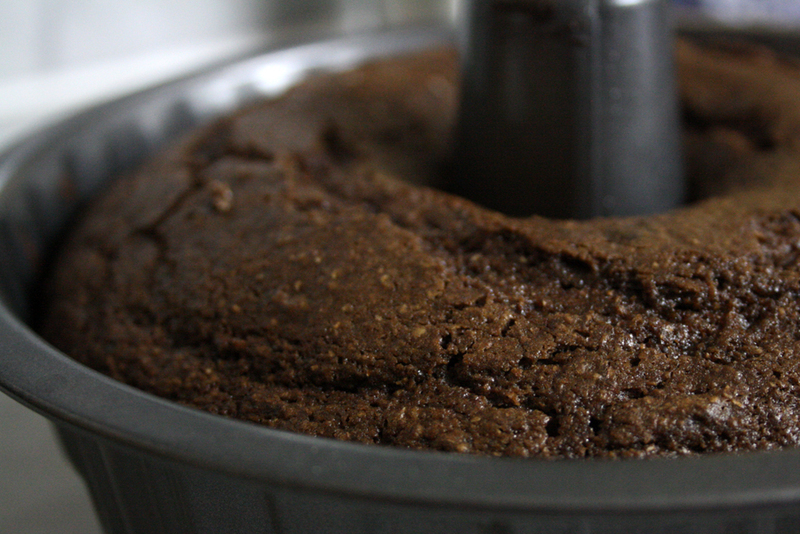 This tip will avoid brown cake crumbs from mixing with your frosting as you spread it around the cake. 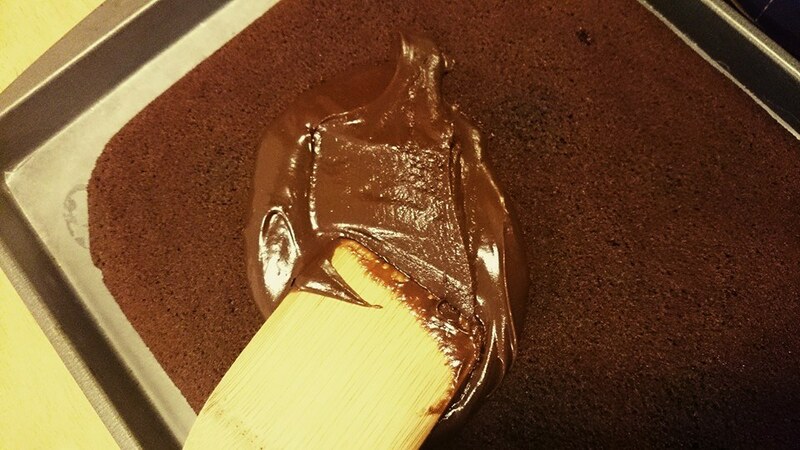 The finale is the dark chocolate ganache. 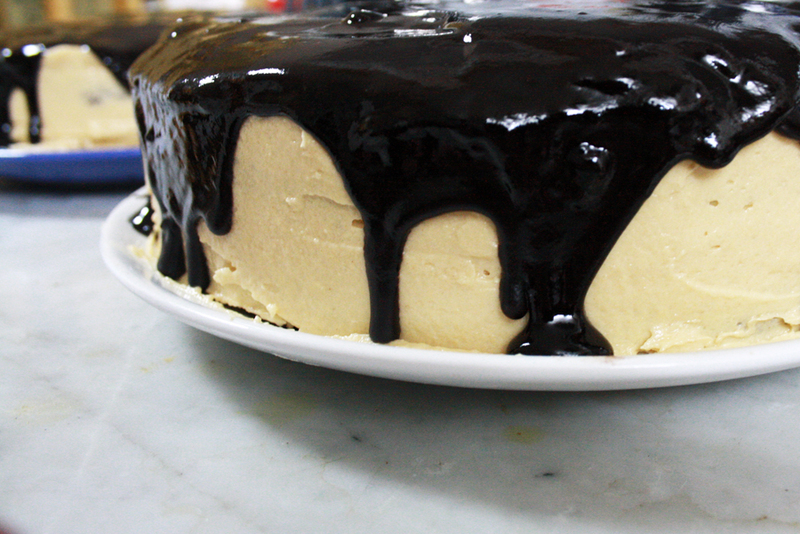 It makes the simple cake look elegant and avant-garde at the same time, aside from providing it with a richer taste. Between the moist cake, the rich frosting and the sweet chocolate, serving a sliver would be more advisable instead of a hefty slice to prevent blocked arteries and trips to the ER. Oh, and if you’re wondering if it’s better to leave the cake in room temperature or refrigerate it, it depends on the room itself. If you’re in a cool, air-conditioned room or if the weather is naturally cool, you can leave it out of the fridge. But if it’s hot enough to fry eggs on your car, it’s much better to refrigerate it. It won’t affect the taste. 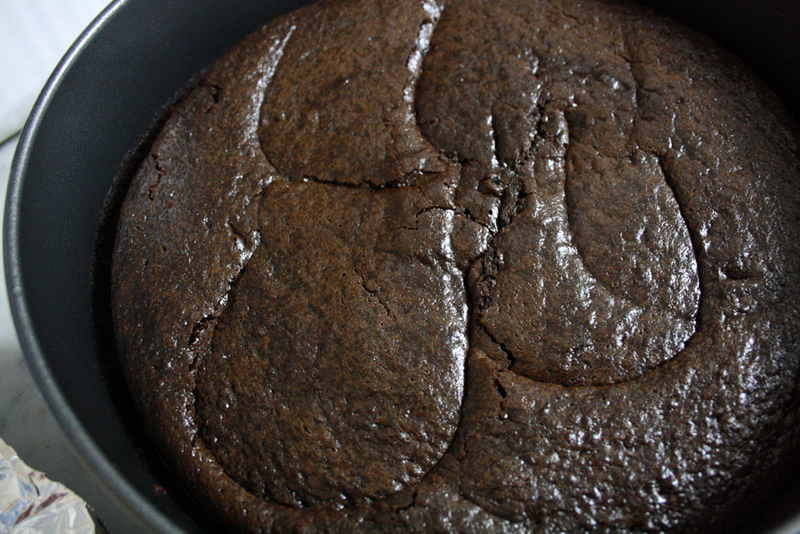 Besides, a firm cake is always better than a wilting one. Yum! Trust me, this looks much better in real life than in the photos. Tastes much better, too. And as I receive my self-presented award for having passed another baking hurdle, I would like to thank Smitten Kitchen for being such a dependable baker’s bible filled with wonderful recipes and tips.